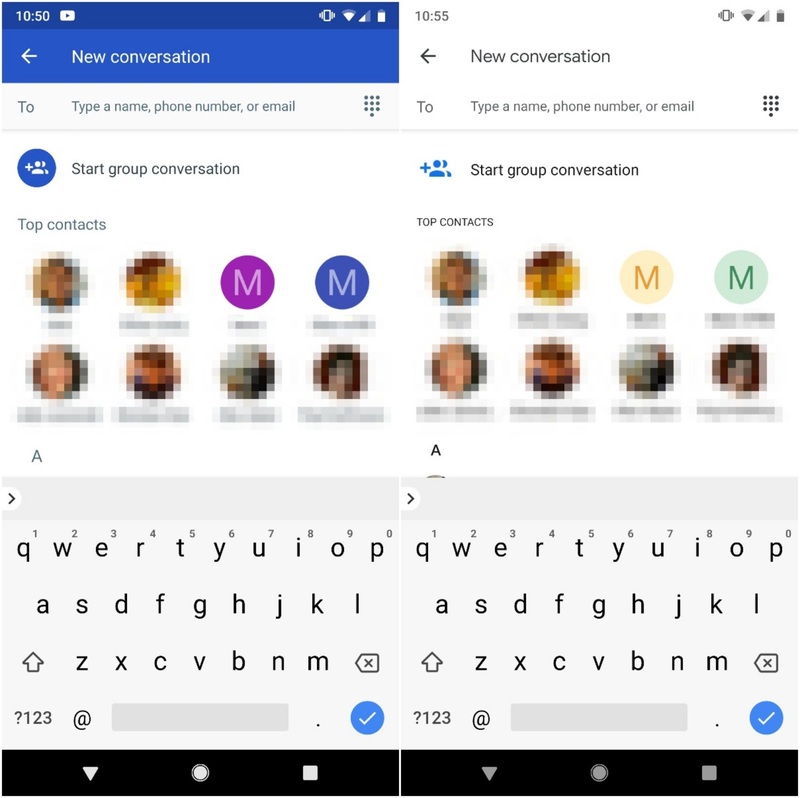 Recently, Google updated their Contacts, Duos and Phone app wit the new Material Design 2 touch. 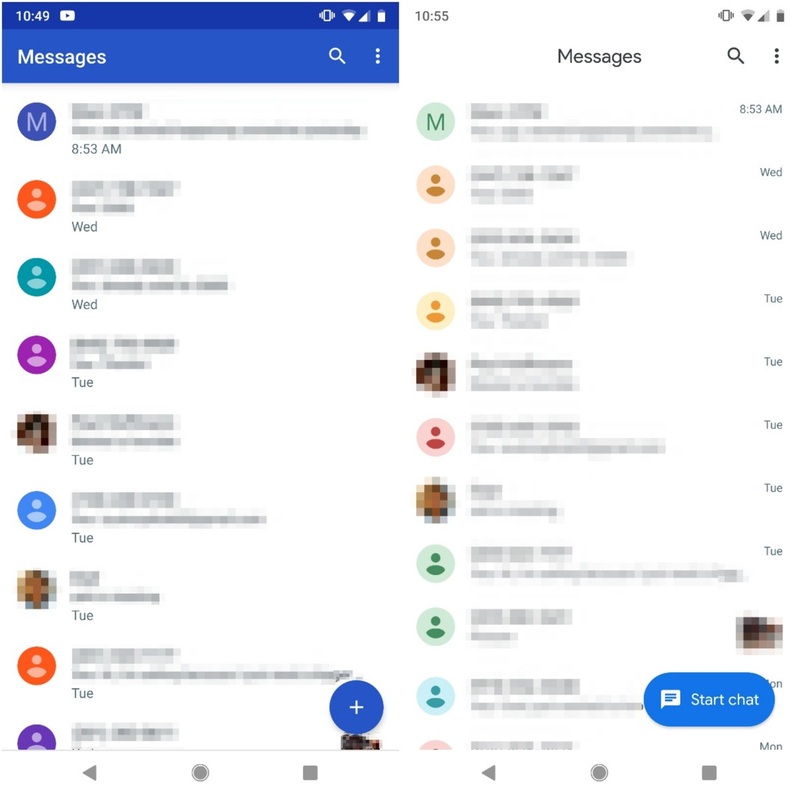 Today, Google has released the new Material Theme redesign for the Android Messages in version 3.5.048 to all users. It’s not just a completely rejigged UI, but the inclusion of a brand new dark mode as well. The new UI is completely different from the previous version with a new long awaited feature, dark mode. This isn’t the first Google-made application to be receiving a dark theme, as YouTube also has gotten one recently too. 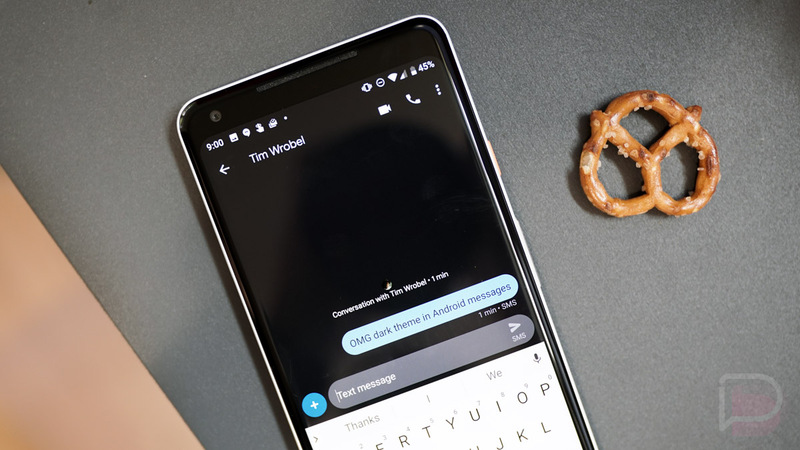 In countries where SMS is used heavily, the redesign of Android Messages will for sure be a welcome addition. 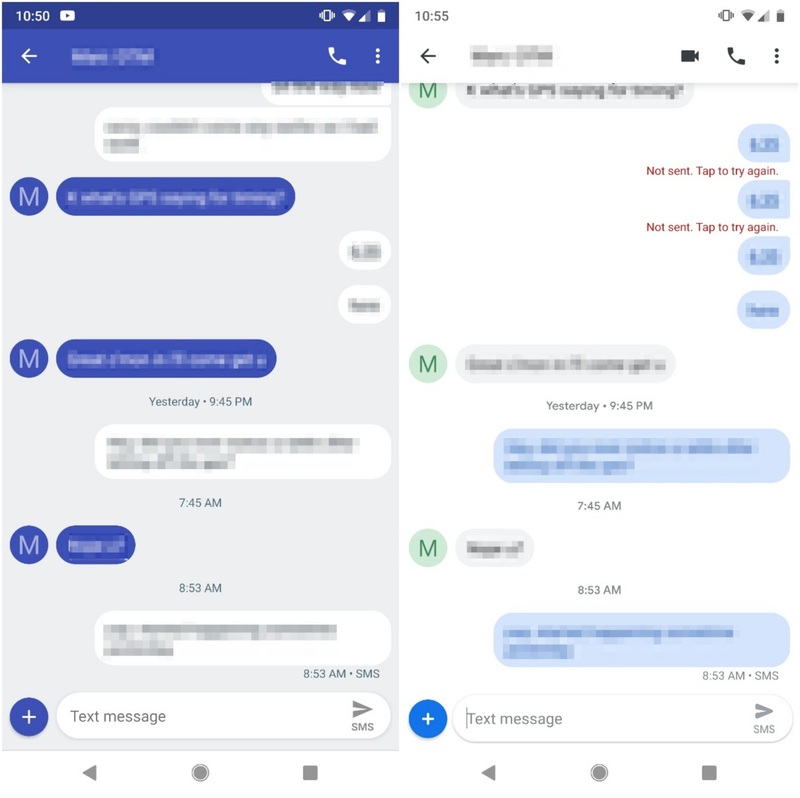 While the app’s icon is still blue, the app bar loses that tint and is now white, resulting in a merged look with the status bar. Google is redesigning a number of first-party applications to fit the new Material Design theme. This includes Google Photos, Gmail and more. With this release, it’s possible that the floodgates may open to releasing even more material theme redesigned applications. It’s an upgrade for sure and looks a whole lot nicer than the old design. The new centered app name at the very top, along with various other titles, uses Google Sans. 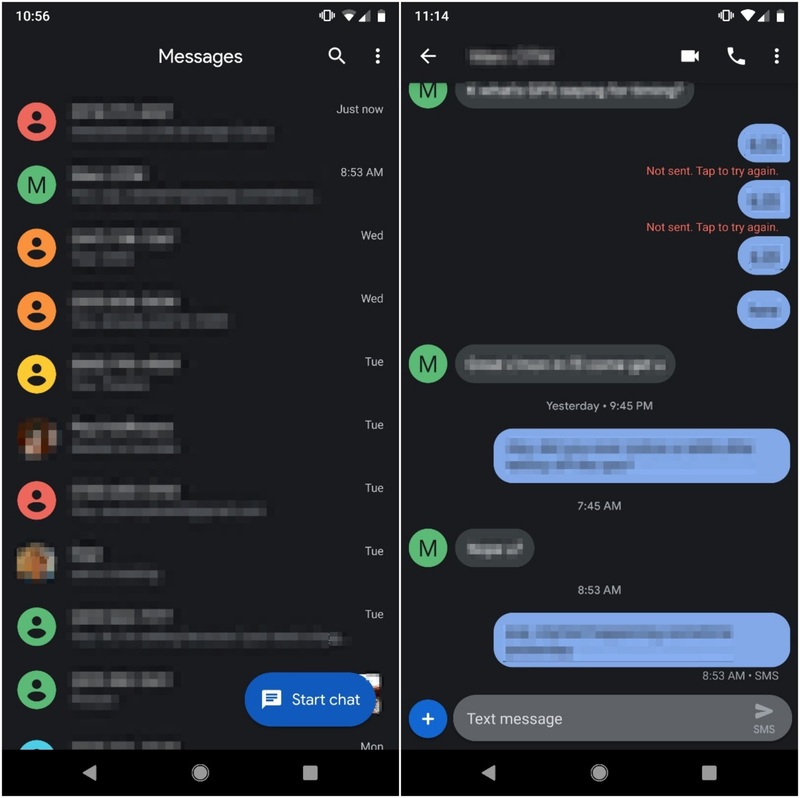 At the bottom, there is a new oval-shaped FAB in the corner that says “Start chat” in a likely wink to how “chats” in RCS are the equivalent of SMS “texts.” The start “New conversation” page is functionally unchanged, but benefits from the merged app and status bar. If you’re wondering how to get the new update, you can download the latest APK from APKMirror below and install it. If you don’t see the new design right away, force stop the application, clear the cache, and check it again.